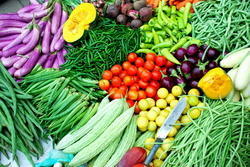 Prominent & Leading Exporter from Nagpur, we offer green chilli and fresh vegetables. 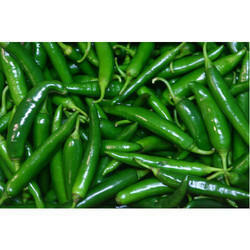 We offer Green Chillies that are most associated with its fiery hot and tongue burning flavor It is widely used in its raw form to spice up a meal and add flavor Long Green Chillies is a major ingredient in almost all foods and almost cannot be done without. We gain from this fact and specialize in the export of Green Chillies worldwide. We ensure that the product is grown in the right environment plucked and packaged in its original form to retain the essence and flavor.